Like most of you, getting ready every day can be daunting. Don’t get me wrong, I love to feel pretty and put together, but I also like to hit snooze and go back to sleep. So I did a little project with myself and had what I’d like to call 7 Days of Hair. Seven days where I actually got up early and did something special with my hair, you know, something more than throwing it up into a knot on my head and calling it a day. Here is how it turned out. Here’s a few links on how to do these pretty things yourself from some of my favorite bloggers. 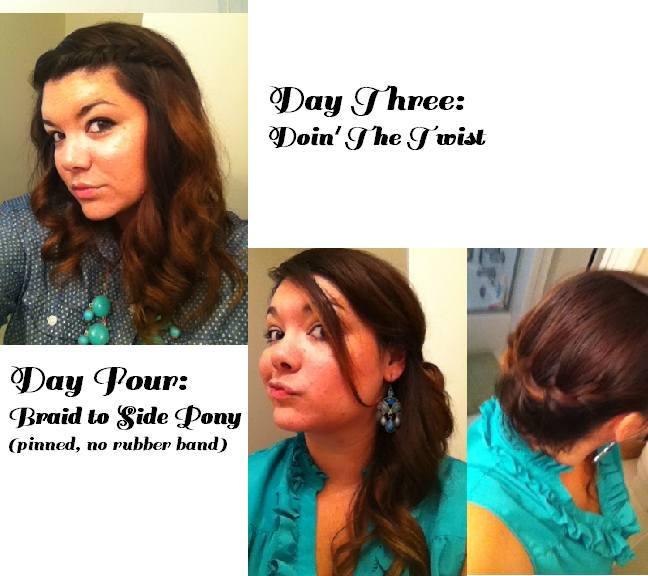 Milkmaid Braid Tutorial from Gal Meets Glam. Isn’t Julia just gorg? She has tons of great hair ideas! 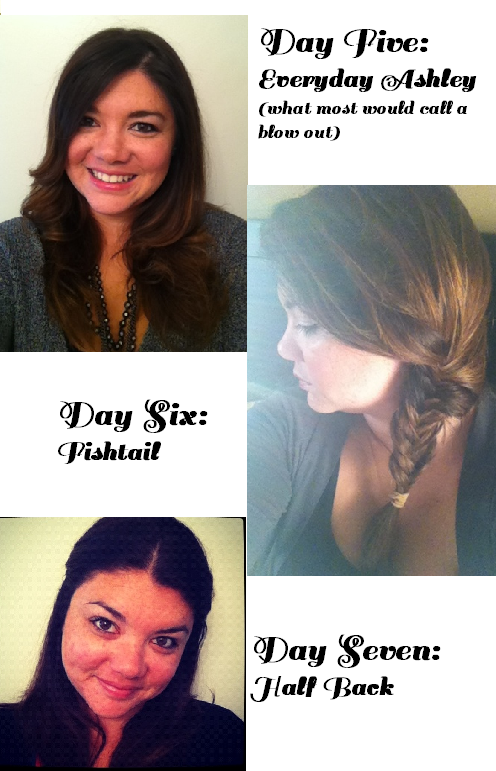 Fishtail Braid from Running on Happiness. Katie also has some awesome hair tutorials! How do you like to do your hair? Share your hair secrets with me! Every time I try the milk-made braids they never turn out right! BUT it looks great on you! 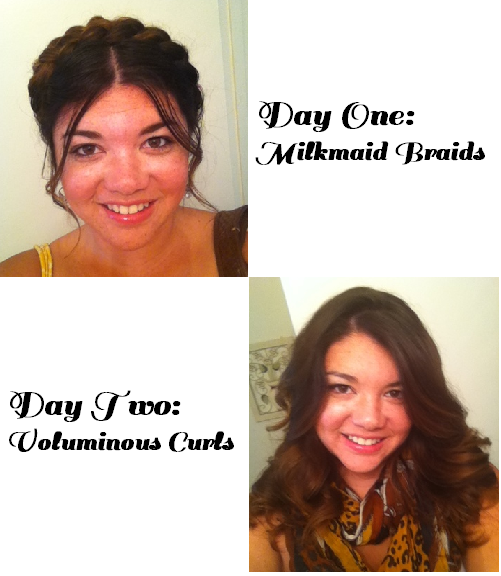 love love love the milk-maid braids!! !